Majors Home Improvement is a reputable window installation company serving homeowners in Destin and surrounding areas. We have been helping customers since 1997, building a long-standing reputation as a contractor that always delivers on its promises. Unlike other window contractors in the area, we’ll go above and beyond to ensure your complete satisfaction with our products and service, not resting until your happiness is achieved. Our design consultants and craftsmen bend over backward for all of our customers to ensure they always receive a seamless home improvement experience. 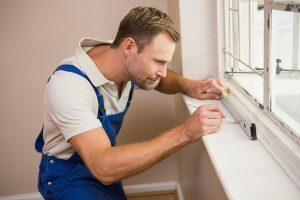 However, customer service is just one part of the equation when it comes to being a top-notch window contractor, as it’s also important to offer durable products. Our Majors Select™ Vinyl Windows are built to handle the blustery Panhandle weather with ease, operating effortlessly for decades. They are also energy efficient, which is an incredible benefit for a region that sees a fair amount of sunlight and high temperatures throughout the year. With insulated glass, multiple air chambers, and welded frames and sashes, these windows form a barrier to keep out the hot air and enable your home to maintain a comfortable indoor temperature without a heavy workload required of your air conditioner. What’s more, our vinyl windows can be customized to meet your design preferences and complement your home’s look. Choose from numerous popular styles, exterior colors, interior wood-grain finishes, hardware, and more to design windows that are uniquely you. Our consultants will be happy to assist with this process, helping you pick out the right features to enhance your home’s curb appeal. As you can see, we take customer service seriously at Majors Home Improvement, and we encourage you to give us a call or fill out our online form to learn more. We’re proud to be one of the choice window contractors in Destin and look forward to putting our expertise to work for you.